In the late 1990s entertainment icon and Billboard chart-topping male artist Pat Boone contacted a number of his peers – singers who’d sold millions of records – and offered them the opportunity to make new records and be part of keeping their previous hits available. The Gold Label became a destination for keeping in touch with the biggest hits of the ‘40s, ‘50s and ‘60s by the legacy artists and bands that made them famous, including fabulous singers like Jack Jones, Sha Na Na, The Ventures, and many more. In recent years The Gold Label began discovering and adding to its roster hot, new artists spanning a variety of genres including vocal and instrumental Pop, Jazz and Neoclassical. In the 1970s and 1980s Lamb & Lion Records was home to such Contemporary Christian artists as Debby Boone, Gary Chapman, Dogwood, Degarmo & Key, and the Boone Family. 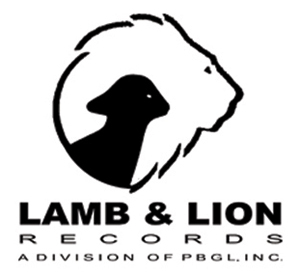 Today, like parent company The Gold Label, Lamb & Lion Records is re-releasing catalog titles from legacy Christian artists, and adding new Contemporary Christian artists to the label. BooneAudio is a new imprint under Pat Boone’s Contemporary Christian label, Lamb & Lion Records. BooneAudio offers products that teach and promote Family Learning for Christian Living.